Shaw Island has a well-used community center. Some islanders thought building it was unnecessary but time has proven the building’s value as the place for most of the island’s activities. It has been our gathering place for almost all of the island-wide activities for more than 25 years. In that time we have replaced the roof, added a patio, changed from a wood stove to kerosene heat, added the small room, and twice remodeled the kitchen, the latest in 2014. Activities have included classes, rolling skating, lectures, 4-H breakfasts, auctions and raffles, senior dinners, weddings, talent shows, weaving, plays, meetings, concerts and candidates’ forums. 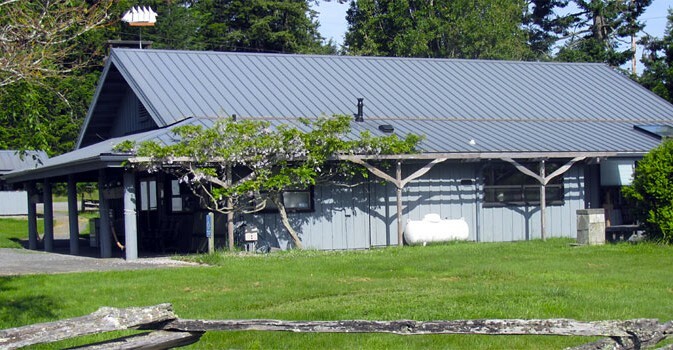 It’s impossible to imagine Shaw Island without its Community Center. The founders made the right decision. To make a reservation at the community building please contact Mary Frances Brown, the scheduler, at mfb3333@gmail.com.